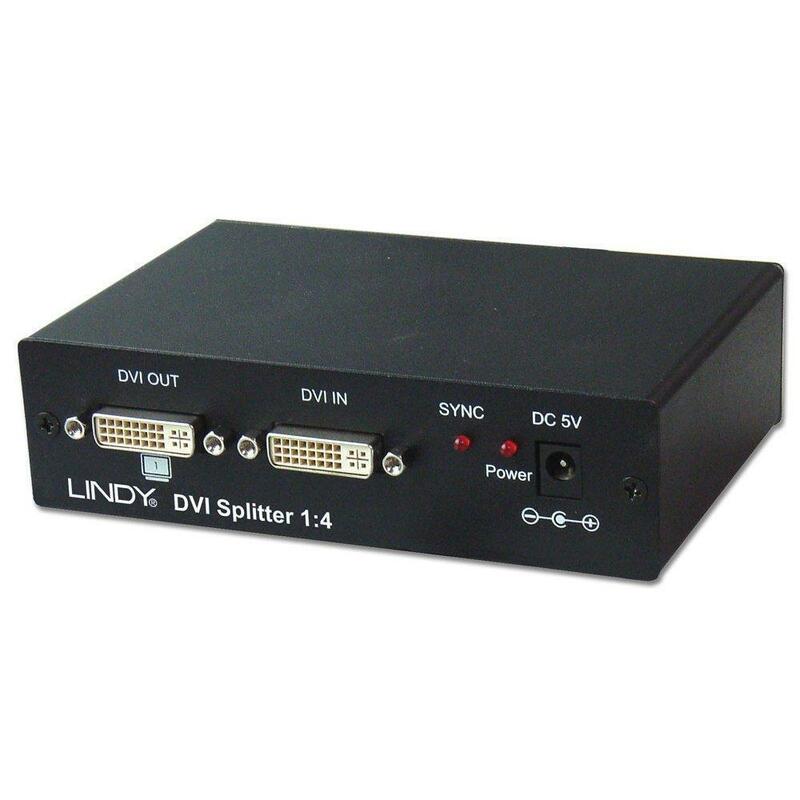 The LINDY DVI Video Splitter allows you to connect your computer to 4 DVI-D enabled displays or projectors. 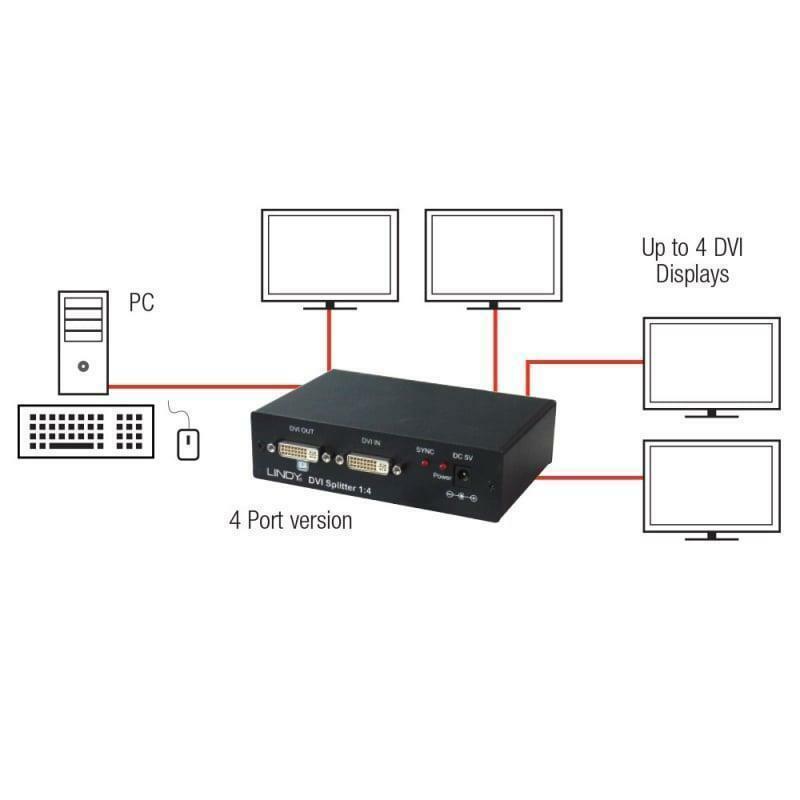 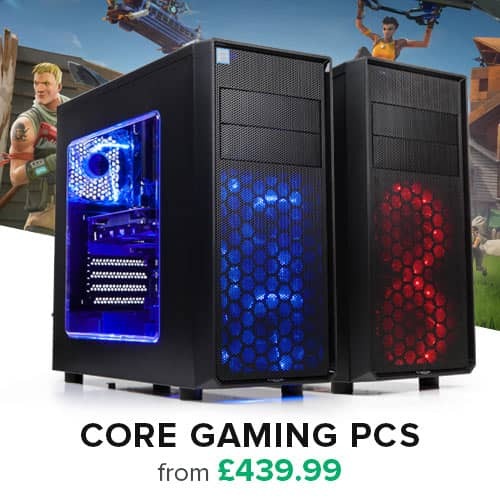 It supports all DVI Digital Single Link resolutions while superb image quality is maintained throughout, even when splitting the video signal to multiple monitors. 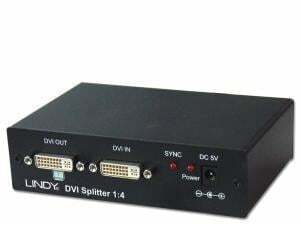 There is also IC amplifier support for each individual output port.